The president of the European Bank for Reconstruction and Development (EBRD), Suma Chakrabarti, met with Jordanian Prime Minister Abdullah Ensour to discuss the ties between them and means of increasing the support and cooperation of the bank in the country. 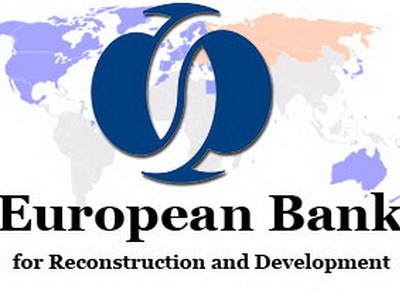 EBRD started operations in Jordan in 2012 before finally opening an office there in 2013. The bank has already invested €203 million in development projects since 2012. President Chakrabarti wishes Amman will turn into a “business hub.” Jordan joined EBRD in December 2011 and it was granted recipient country status in November 2013. President Chakrabarti renewed the bank’s dedication towards supporting the government’s economic development efforts with hopes that the cooperation between EBRD and the government will further be cherished. Prime Minister Ensour highlighted the different projects which have been supported by the bank as he expressed his government’s sincere appreciation of the existing bond with EBRD. The bank has not only been limited to providing finance for government projects. It has also helped the private sector to develop by providing technical assistance programs. More than 50 small and medium sized enterprises within the country have already benefitted from such programs. According to Chakrabarti, the conclusion of a $30 million loan deal to “finance the construction of the country’s first district cooling and heating plant at the Abdali Urban Regeneration development in the capital, Amman… will set the standard for the construction of similar commercial developments in the future and will also raise the profile of Amman as a business hub.” Last year, $80 million was given as loan by the bank for the Abdali Mall, a retail and entertainment center serving the development. Written by: Jaber Ali on September 11, 2014. Posted by Jaber Ali on Sep 11 2014. Filed under Headlines, World News. You can follow any responses to this entry through the RSS 2.0. Both comments and pings are currently closed.